This post is all about my first smash the cake 1st birthday. This trend is becoming more and more popular in recent months and I was dying to do one. I was asked to make a cake for my other half’s cousin for his son’s first birthday with a matching smash cake – of course I said yes! 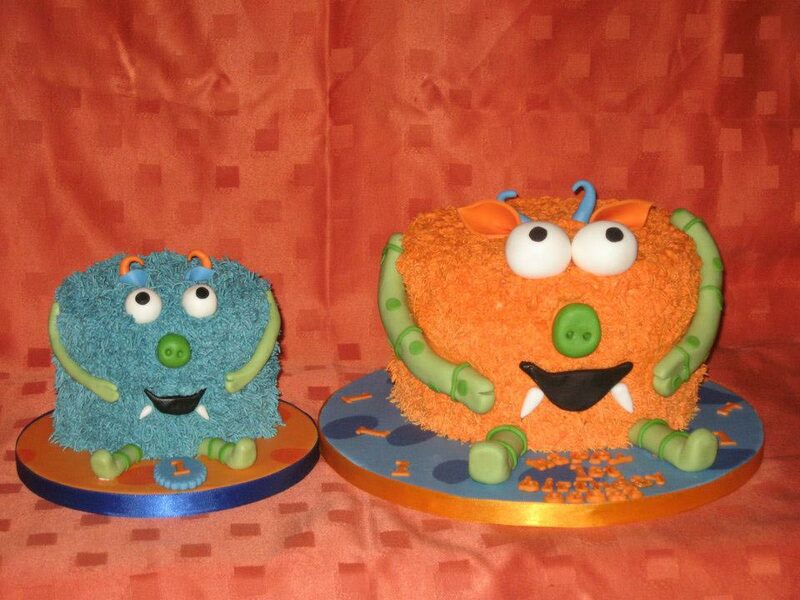 Here is a picture of the big birthday cake with the matching smash cake before the birthday boy got to grips with it. 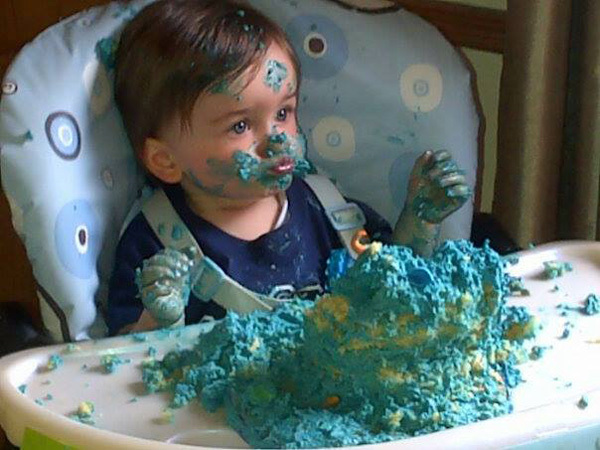 After a few minutes of Oscar sussing the cake out here is a picture of the after effect. As you can see he made an absolute mess but judging by the photos I was sent, it looks like he enjoyed himself, don’t you think? ?